Last month we haiku-ed! It was cute and fun. I enjoyed reading everybody’s poems, and marvel over their creativity. But it turns out I’m not such a trail blazer with the whole equestrian haikus thing. There was a whole Horse Nation column devoted to them, as well as a twitter account and a few other things. WHATEVER. Feel free to take a few minutes to contemplate the universal truth of that one. Emma wrote about fences that 12 year olds jump that are actually still too big for some of us. I also have these feels. oh but 12 year olds do it? Karen extolled the virtues of Saddle Tite (and Conrad looked clutch in his harness) and then wrote haikus about Conrad while he looked clutch in his cable knit sweater. Lauren revealed secret show plans! Schooling show in the hunters. Also, Lauren and SprinklerBandit got into a rap haiku battle in the comments so be sure to check that out. Redheadlins made graphics! GRAPHICS GUYS. I feel you on the ACE my friend. And M at Canter and Candor wrote about her noodlekind’s learning process! I can tell you’re not bending. all bend on a circle, right? And Alyssa wrote about the number one goat rules of life. Which are indisputable, of course. “Get the change, she said. My RBF wrote some too! sticking to my Chapsticked lips. And if noodling down a centerline isn’t a fact of life, I don’t know what is. 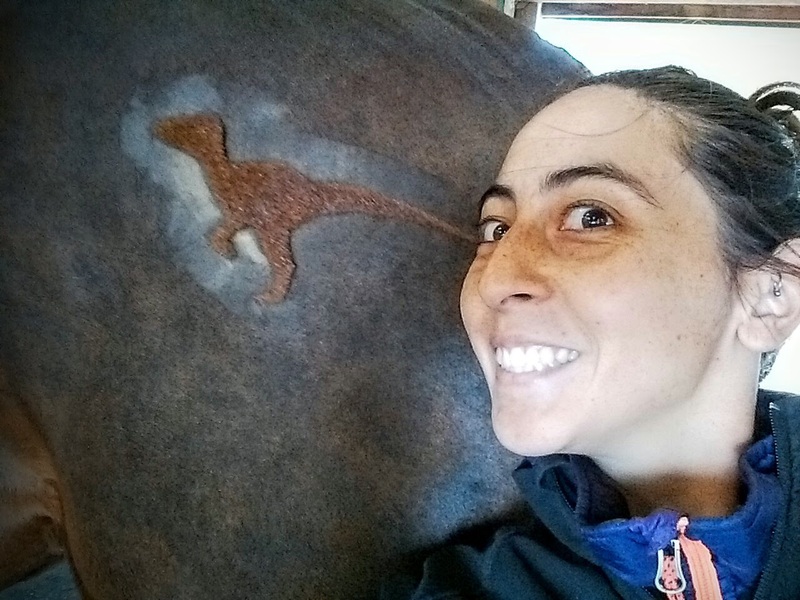 SB wrote about training with her thousand pound best friend — ain’t that the truth? Alli’s haikus featured MINI DONKS. 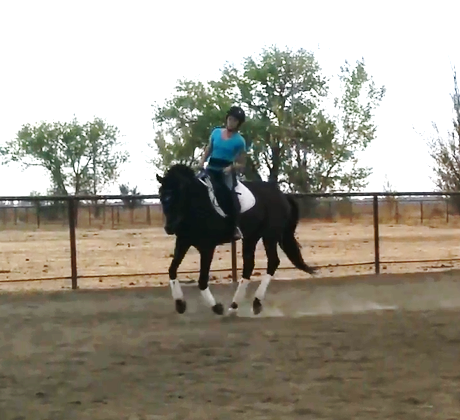 But actually my fave was the one about work ethic… because my thoroughbred seems to have misplaced his. Why don’t you have work ethic? This was fun, guys! If there are any I missed, link me below, and I will add you and include you on my excel spreadsheet random number generator for flashy* prizes. * and by flashy I mean handsewn and made with love. Ooooo that first one though!!!! Much talent, such poetry, all wow! HAHAHA, “Added leg but noodled more.” So perfect! Such fun to read the entries!! Love the goat haiku! Her goaties are Freakin adorbs too. Thanks! 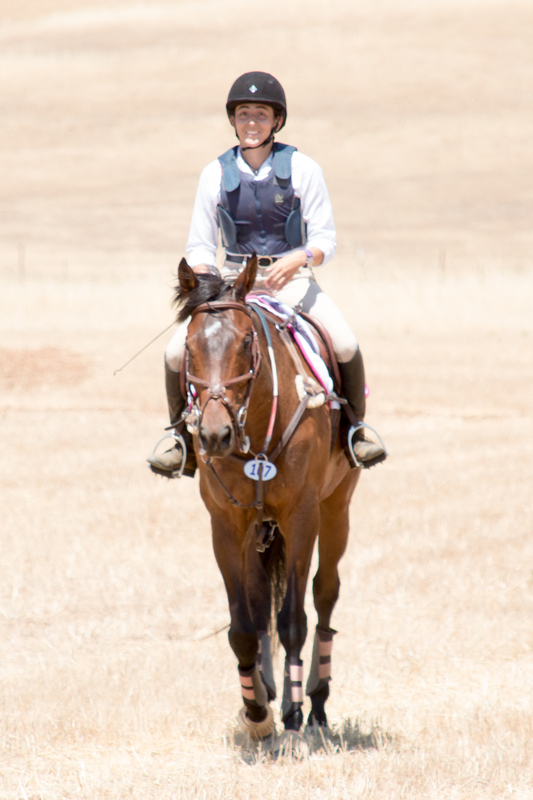 It’s one of the few pics where I feel like I look really happy riding. Which is weird because I’m almost always happy when I ride!! Gah, they are all so good! I love it! P.S. Horse hairs in the bra are like tiny torture devices. ahhh this was so much fun! !